For this class I was able to teach about Thinglinks. Due to the fact that I was teaching the class this concept, I did not create my own thinglink for this assessment assignment. However, I did use other Thinglinks already created. 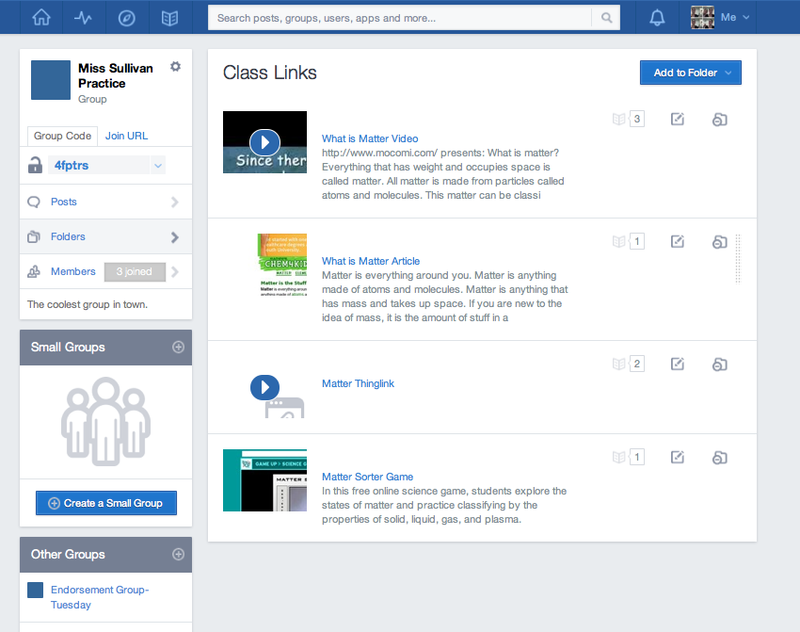 I embedded a Thinglink I found on matter into my class Edmodo. I also embedded videos, articles, games, and other resources into a folder in Edmodo. I then gave the class I have set up an assignment to view the Thinglink, videos, and read the article. Once they have finished they are to take a quiz and participate in a discussion on Edmodo to show understanding and learning. I have been working on the concept of using Edmodo, Thinglinks, and MentorMob to flip classroom instruction. I like the idea that through Edmodo I can give a quiz to determine understanding. That would help guide the experiments, lessons, and scaffolding needed in the in class application of concepts. I love the idea of Thinglinks and can see it being used in many ways in the classroom. The one downfall is that several students can't be editing a Thinglink at the same time. I was excited about giving the students a URL and having them add thoughts, facts, and information to the Thinglink to assess understanding. It was a little frustrating to learn that only one student at a time could be editing the Thinglink. It is something that I could work around in the classroom but just complicates the process a little.